There was a very long list of candidates vying for a spot on this list, but ultimately we were able to narrow it down to the 10 best movie music moments that we saw on the big screen in 2015. What are our choices? Read on to find out! SPOILER WARNING: The following article does contain some major spoilers for a few of the films on this list. If you haven’t seen some of the titles, you may want to tread lightly! The more time that Caleb (Domhnall Gleeson) spends at the private estate belonging to his boss, Nathan (Oscar Isaac), the stranger things get. The environment is entirely claustrophobic, and he receives not only the sense but regular warnings that he shouldn’t trust the man serving as host. And just when you think things couldn’t get weirder, the sexual advances of the robot Kyoko (Sonoya Mizuno) are interrupted by an impromptu dance party to the tune of Oliver Cheatham’s "Get Down Saturday Night." Writer/director Alex Garland finds many ways in Ex Machina to put the audience off their game and question reality, and this is certainly one of the best examples. At this point in the film you really have no idea what to make of the genius/slimy Nathan, so what does he do? Get sloppy drunk and perform a perfectly choreographed dance routine with his robot gal pal to the tune of a disco hit. It’s an elegant summation of everything that makes the movie great. War drums are very much a real thing, and their history dates back many centuries as they were used by many different cultures in time of battle. That being said, I don’t think they’ve ever been utilized better than by director George Miller in Mad Max: Fury Road - specifically because of the existence of The Doof Warrior (iOTA). 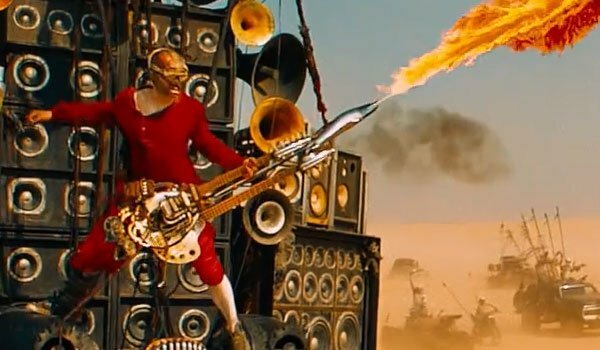 For the sake of this list, the grand movie music moment comes when Immortan Joe (Hugh Keays-Byrne) leads his troops out of the Citadel to chase Furiosa (Charlize Theron), the Doof Warrior rocking out on his guitar/flamethrower. That being said, every scene he’s involved with in/scoring is movie music moment perfection. He rocks on while some of the most insane chaos in the world surrounds him, and he deserves praise. 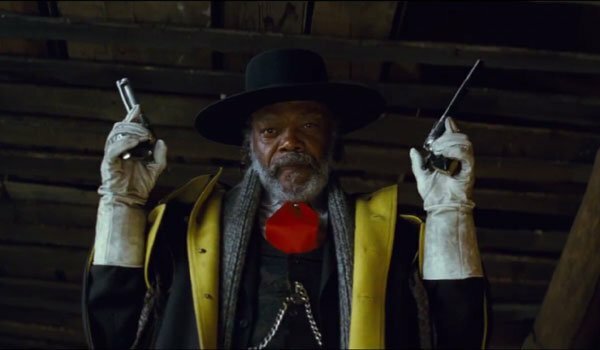 To put it bluntly, Quentin Tarantino’s The Hateful Eight is a film about bad people doing bad things to other bad people. There are few moments in the movie where characters aren’t being rotten, violent, or malevolent to each other – and a silent night it most certainly is not. So how excellent it is that a broken version of this classic Christmas track is played while one of the most despicable acts featured in the western plays out and is described. Bob (Demian Bichir) sits at the piano and plays "Silent Night" poorly all while Major Marquis Warren (Samuel L. Jackson) does everything in his power to get a rise out of General Sandy Smithers (Bruce Dern). You’ll notice that the song doesn’t actually make it all the way through the bounty hunter’s extreme story about Smithers’ son – presumably because Bob got distracted by the tale – but it really sets the atmosphere in a disturbingly perfect way for one of the movie’s most memorable moments. If you’re a fan of the music of the Beach Boys, you really need to see director Bill Pohlad’s Love & Mercy. It’s a simple equation. Constructed with two separate narratives, the film tells the story of singer/songwriter Brian Wilson, but it’s the music running through the movie’s veins that makes it feel really special. And nowhere else in the feature is that more true than the film’s depiction of the creation/recording of the legendary album Pet Sounds. 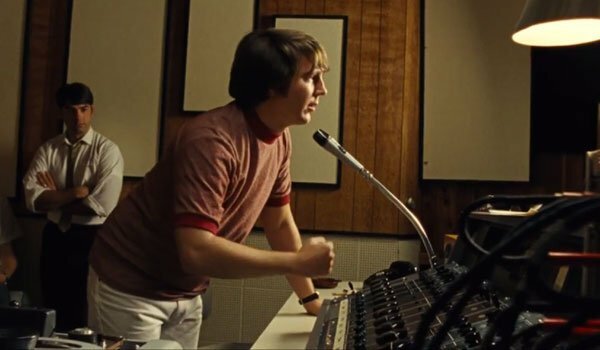 It’s utterly fascinating to watch Brian Wilson (Paul Dano) go through his creative process and come up with some of the most iconic music of the 1960s – whether he’s herding farm animals into the studio or leaning into a piano to strum the famous opening notes of "You Still Believe In Me." It’s simultaneously humbling and inspiring. Director Peyton Reed’s Ant-Man introduced a good number of new characters and elements to the Marvel Cinematic Universe, but there was one tradition that it most definitely continued: tonally mixing in both action and comedy. The movie is as funny as its climactic scenes are thrilling – and nowhere will you find a better balance of that in the film than the titular hero’s battle against his foe in an airborne briefcase. 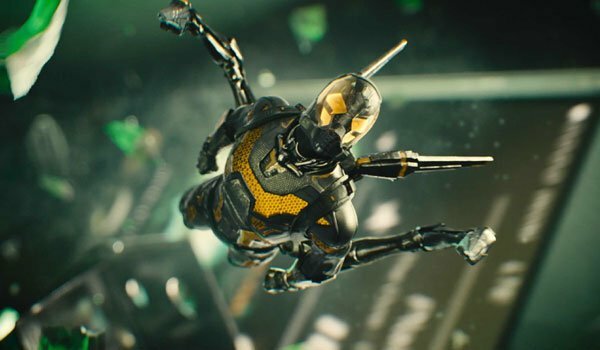 By the time the third-act action sequence begins, Yellow Jacket (Corey Stoll) has been properly enraged by Scott Lang (Paul Rudd), and would really love to do nothing more than kill the guy who stole the attention of the great Hank Pym (Michael Douglas). Unfortunately for him, a threat of disintegration does nothing more than have a smart phone start playing the album "Disintegration" by The Cure. The good news for audiences? That song makes for excellent background music for the fight. Like Love & Mercy, director F. Gary Gray’s Straight Outta Compton has a bit of an advantage on this list, given that the entire film actually centers around both real musicians and their music. As such, there were many scenes to choose from in this movie from this list, but we’ve selected what we see as the best of the bunch: the reaction to the recording of Ice Cube’s "No Vaseline." Following his departure from N.W.A. 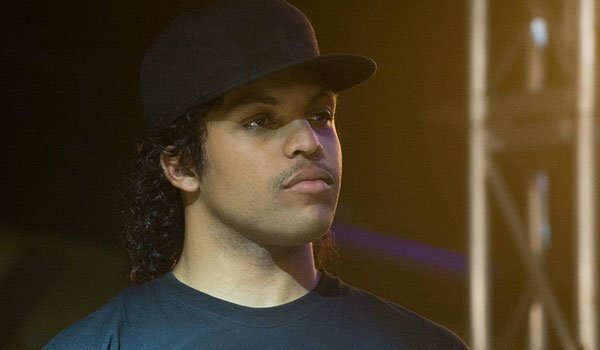 as a result of manager Jerry Heller’s behind the curtain machinations, Ice Cube (O’Shea Jackson Jr.) decides to record a diss track calling out all of his former friends. Heller (Paul Giamatti), Dre (Corey Hawkins), and Eazy-E (Jason Mitchell) all mentions as the sequence goes back and forth between the recording booth and the rap groups reactions. It’s a nice, solid revenge moment that winds up having a major impact going forward. In casting his stop-motion animated feature Anomalisa, writer/director Charlie Kaufman only hired three actors… despite there being more than three characters. David Thewlis plays protagonist Michael Stone, Jennifer Jason Leigh plays the scarred but beautiful Lisa, and Tom Noonan plays literally everyone else. Because just about everyone’s voice is a variation of one voice, Lisa’s stands out to Michael in a mesmerizing way, and it makes her off-key rendition of Cyndi Lauper’s "Girls Just Wanna Have Fun" all the more beautiful and haunting. Appreciating her existence as an anomaly in this world, Michael asks Lisa to sing her favorite song to him, and while she is reticent at first, she begins to belt the 1980s hit – imagining that she’s just singing to herself. It’s a wonderful and melancholy moment that encapsulates a great deal of what Kaufman is using the film to say about individuality. 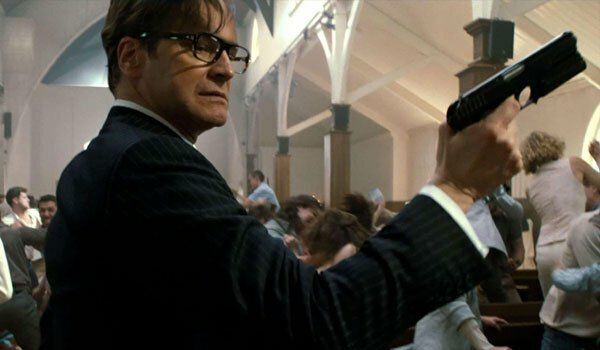 As far as crazy moments from 2015 movies go, there were few as insane as the notorious "Church Sequence" in director Matthew Vaughn’s Kingsman: The Secret Service. In the film, technology created by the villainous Richmond Valentine (Samuel L. Jackson) causes everyone in a hate group church – including hero Harry Hart (Colin Firth) – to go into a violent rage and start killing everyone around them. For this scene, Vaughn had to find a song that could sync with the extreme energy and chaos of the moment, and he chose rather well with the inclusion of Lynyrd Skynyrd’s "Freebird." The action in the scene is most certainly divisive as far as reactions go– with some rooting on the bloodshed and others finding it meaningfully off-putting – but what can’t really be argued is how much Allen Collins’ ridiculous and legendary solo adds to the ferocity of the "one-take" sequence. You may not know it by name, but there’s a very good chance that you’re familiar with "The Mighty Rio Grande" by This Will Destroy You – especially if you watched a trailer for Bennett Miller’s Moneyball. That song was all over the marketing for the 2009 baseball film – but that just makes director Lenny Abrahamson’s use of it in Room appear all the more bold and impressive. It’s a heart-wrenching, breathtaking moment when Jack (Jacob Tremblay) has the chance to see the outside world for the first time, and we see the look of awe stretch across the young boy’s face as he sees real trees for the first time. Abrahamson needed music that captured incredibly important feeling of wonder, and "The Mighty Rio Grande" is simply perfect. Movie theme songs don’t get much more iconic than the one from the original Rocky, and while you may not admit it, the truth is that you were waiting to hear Bill Conti’s "Gonna Fly Now" through most of Ryan Coogler’s Creed. Fortunately, the need for the film to include the legendary track was satiated in excellent form, as it was saved for the exact right moment in the movie to blast through the speakers. 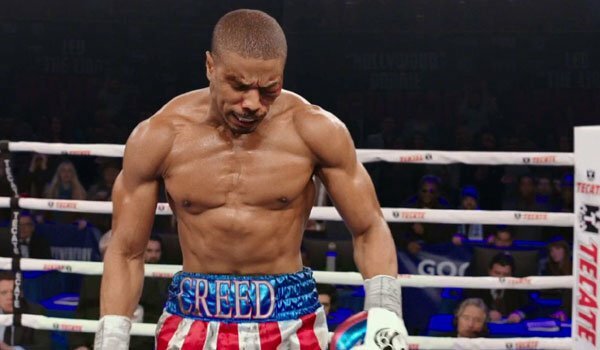 It’s not until the final fight of the film, as young Adonis ‘Creed’ Johnson (Michael B. Jordan) struggles in his fight against ‘Pretty' Ricky Conlan (Tony Bellew), that the trumpets begin to blare – and though the track is non-diegetic, you can still see it raise the energy of the pugilist hero. As reference to the original Rocky, it also happens to function as pretty important foreshadowing, given the way the movie ends, but that’s just the icing on top of a great franchise moment.